Airy interiors at London Plane. All photos by Anna Petrow. Gentedimontagna contributing foodie photographer Anna Petrow ate her way through Seattle and sent us her shots and tasting notes. What’s great about Seattle is that it’s a food town, has a nearby wine country, and is nestled in a beautiful outdoor landscape. Upscale or down-home, it’s all very good. And when you take a detour — to the winery towns or the small islands off the coast – it becomes downright magical. Here’s a quick list to help you get around. We normally roll our eyes at tourists in line for any kind of food, but this Polish pastry stand has been serving handcrafted Russian pastries since 1992. Time does tell just how good they are. The poppy seed cinnamon roll with raisins and a touch of lemon is heavenly. You could go for the views alone (the entire Seattle skyline lit up across the bay), but the Hawaiian-Korean fusion here is killer. Spam sandwiches and fresh fish tacos are a few highlights that pair well with their Hawaiian beer list or a Mai Kai Mai Tai. Treat yourself to a shamelessly bougie lunch of oysters and steak tartare at this Capitol Hill hot spot. Take in the impossibly perfect interior design – hello, stunning mint tile floors – and sip on a glass of sparkling rosé champagne. Afterwards, explore the crazy hip neighborhood. Craft cocktail and wine bars are everywhere, and you won’t be short on macaron ice cream sandwiches, either. Pop into Totokaelo for ultra-minimalist shopping and high-quality ceramics before you leave. 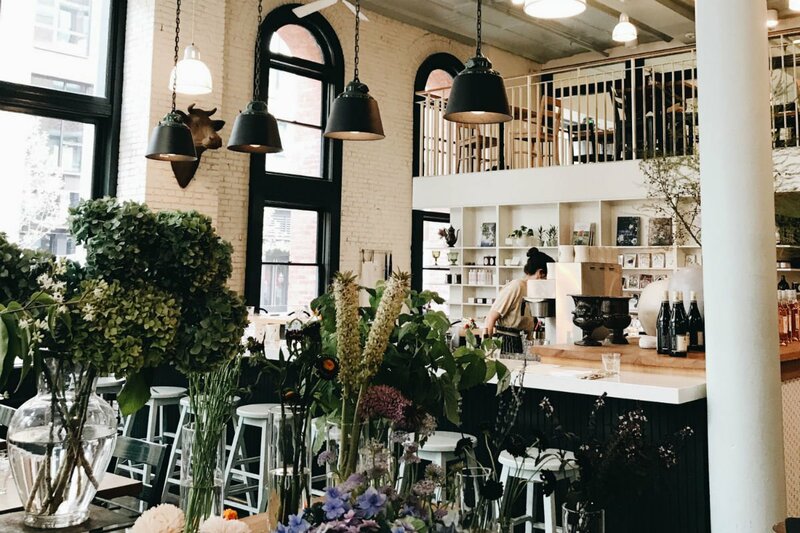 A Instagram lover’s dream, the bright and airy restaurant serves the best brunch in Seattle. House-made bread is the star of many of their main dishes. Don’t sleep on the toast options, like the spicy tahini, creamed greens, and fried egg. But you’ll definitely want to save room for dessert from their impressive pastry case. They also have a darling flower stand and a curated selection of gifts for sale. 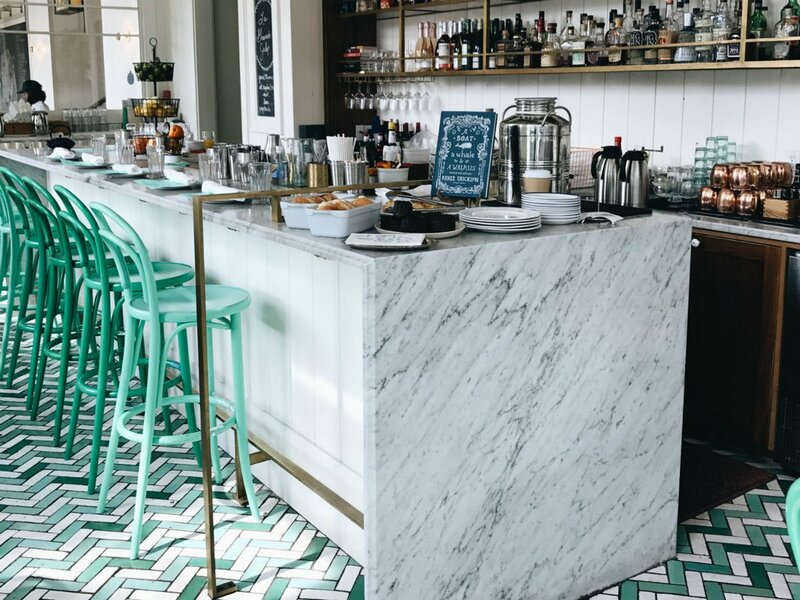 Stunning marble bar and mint tiled floors in Bar Melusin. 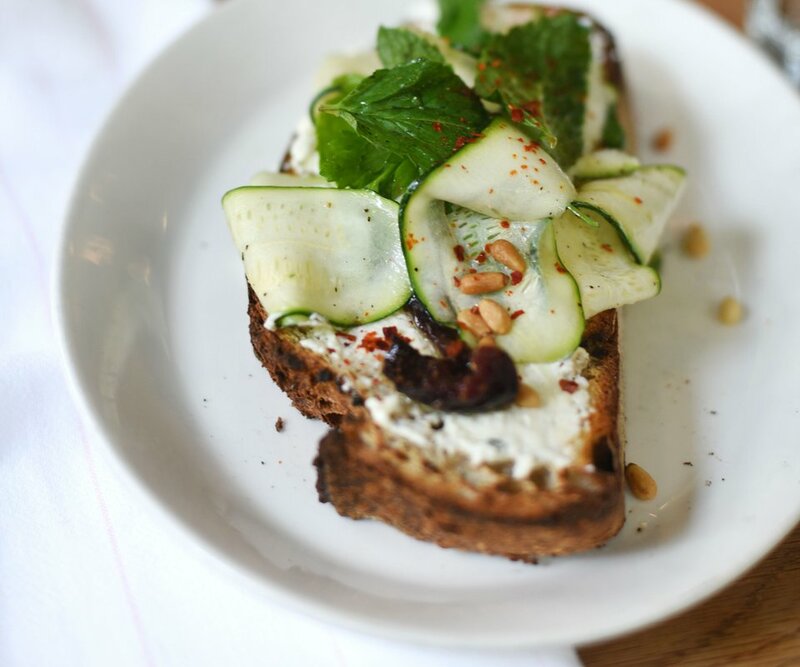 The most photogenic toast at London Plane. Rarely do I find myself making repeat visits on a short trip, but E. Smith Mercantile was an outstanding exception to my rule. Nestled in the back of a hip local goods store, the bar feels intimate, local and a touch otherworldly, thanks to its dim lighting and saloon-like ambiance. The craft cocktail list is great, but quirky touches like artisanal jello shots really turn on the charm. You don’t have to leave the city to experience Washington wines. Hunker down and enjoy a guided tasting experience complete with seasonal small bites catered to each wine. You’ll leave with a vast appreciation for the region and a bit of know-how on Walla Walla funk – the wildly bold and matchless flavors of grapes in the region. 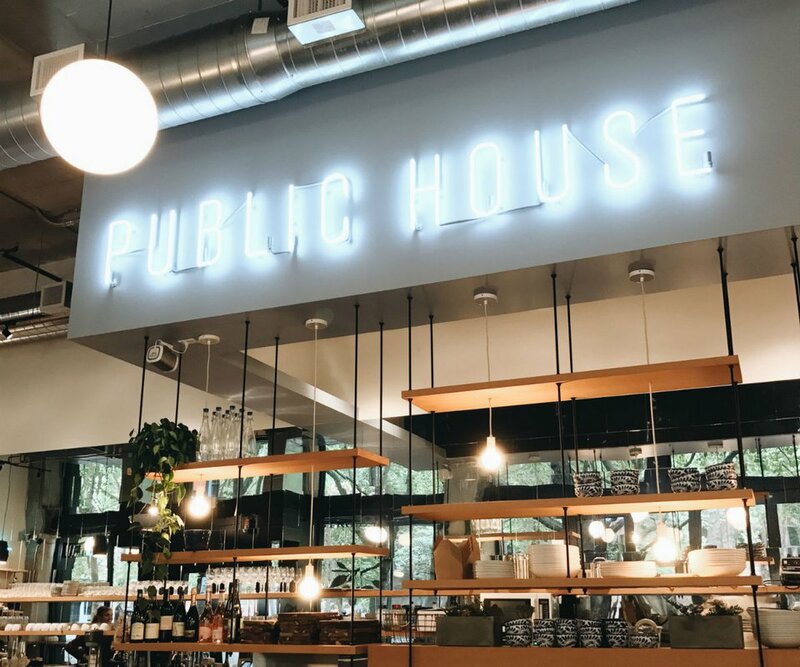 Nestled near some of the quaint homes in the Fremont district, it’s the perfect place to sample local brews. Take in the laid-back nature on the pleasantly crowded patio, which also welcomes dogs. Great for a cup of coffee or a glass of wine on scenic Pioneer Square. The moody lighting, modern design, and on-point playlists make it a great place to hang for a while and people-watch out the windows. Cherry Street Public House bar. Edgy interiors at the W Seattle. 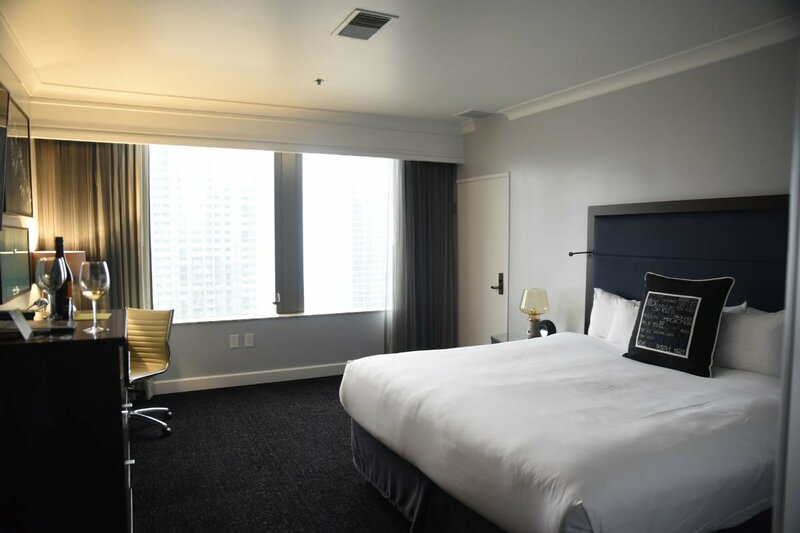 For the more minimalist crowd – a respite in the city with spacious rooms, massive fluffy white beds, and beautiful views of the fog over the sound in the morning. Have a bottle of Walla Walla Valley pinot noir waiting for you upstairs, and you might not leave the room. If you do, head to the rooftop bar with roaring fireplaces. Homages to the Seattle music industry are everywhere. 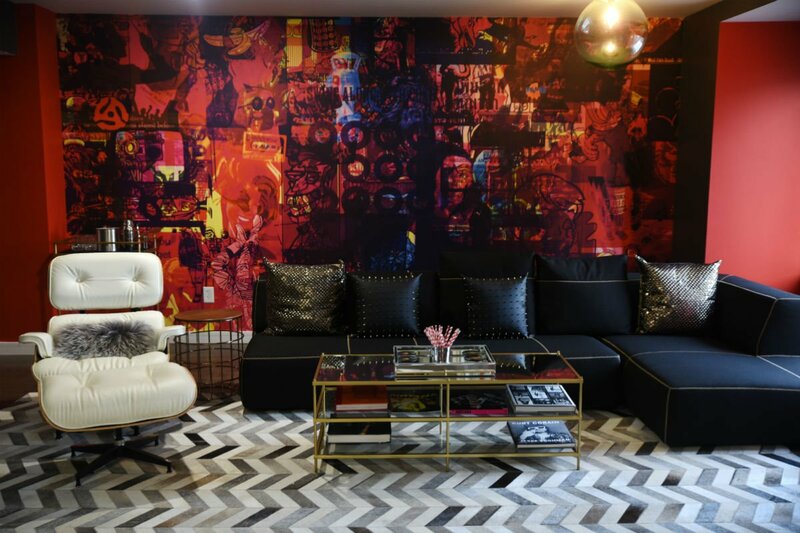 Wallpaper is made from an enlarged photograph of a Seattle-bred vinyl collection, and an on-site recording studio, the Sound Suite, is the ultimate party place for the musically inclined. If you make it to the Sound Suite, request the Queen Bey to get a bottle of Dom Perignon, champagne truffles, oysters, an eye mask, and fresh white florals delivered to the room. The appreciation for fine local cuisine extends all the way up to the room service menu, so order the charcuterie platter of the day. Wake up early and head to the market around 8 a.m. before the tourists arrive, when the farmers, fish hawkers, and butchers will still be setting up. You’ll have the chance to sample fruit and gawk at the insane collection of flowers. While you won’t get the effect of Pike Place in full swing, we reckon you’ll be fine with that. 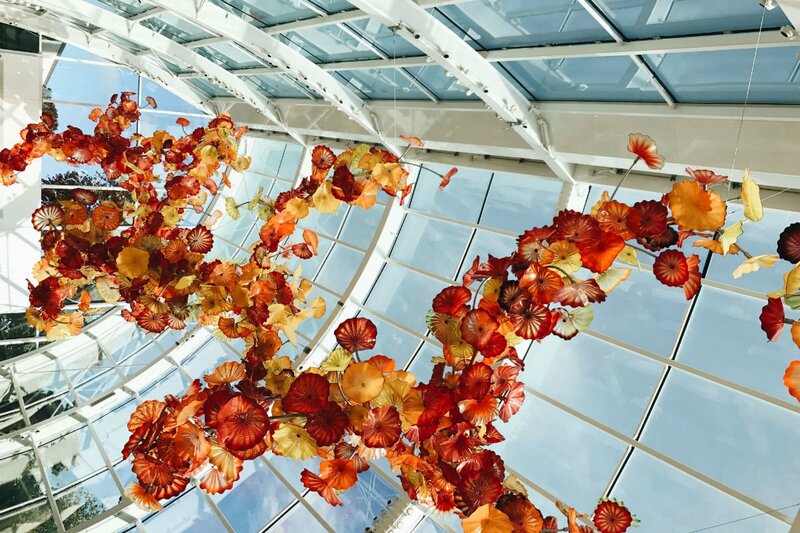 The legacy of glass sculptor Dale Chihuly is truly impressive, and his process from sketch to finish is on display at the Gardens. Understanding the thought behind his craft is riveting, and viewing his work integrated into the garden is a perfect respite from the city. Just 45 minutes outside the city lies the winery town of Woodinville, which you may find you enjoy more than Sonoma. The vibes are low-key, the views of lush farmland and rolling hills are breathtaking, and the wine is rich and earthy. In town, don’t miss the , where you can sample the curated wines of the Schafer family, whose critically acclaimed wines spare no detail. Even the labels are thoughtfully designed, featuring artworks by Northwest masters. Watercolors on the estate wines are inspired by life on the vineyard and are hand-painted by the winemaker, Anna Schafer. 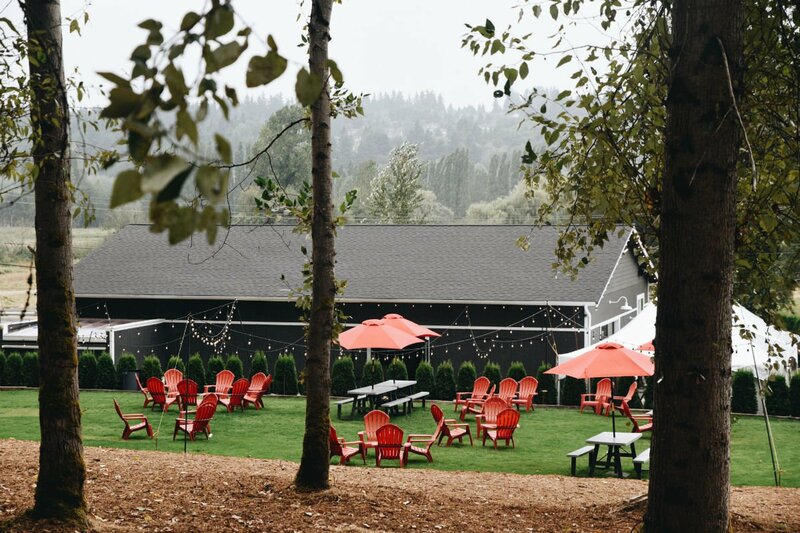 On the outskirts of Woodinville is the most ideal wine tasting venue you could possibly dream up, with a farm, insane views, and a beautiful yard chock-full of Adirondack chairs and string lights and live music. Swaddle yourself in a flannel blanket (the winery provides them) and get to work on their extensive wine selection. Be sure to pad your stomach with the excellent local charcuterie options – Glando’s Sausage Co. dry cured salami and the exquisitely creamy Samish Bay Vache pair beautifully. 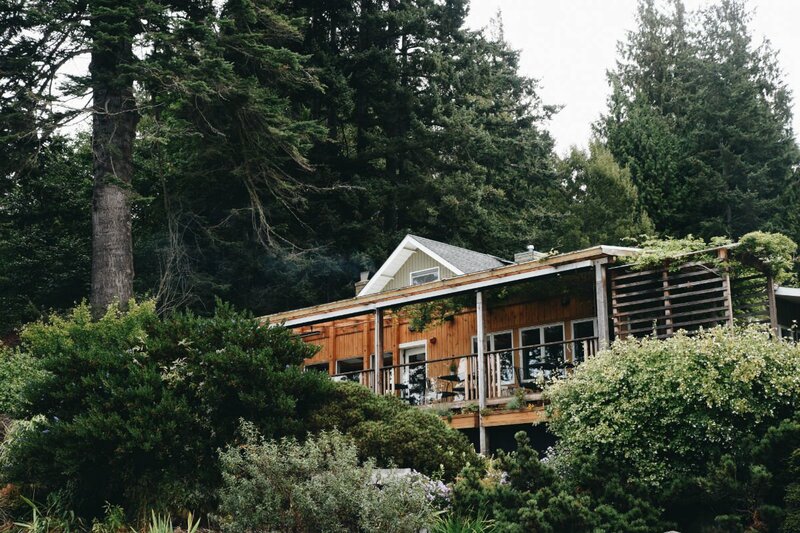 Drive three beautiful hours up north and find yourself on a remote island with orca whales, impressive hiking, and famed farm-to-table fare at Willows Inn. Willows Inn tucked in to lush greenery. Dale Chihuly's breathtaking glass sculptures. Mathew's Winery on a classically foggy day.